Field-dried Indiana straw (primarily wheat), sold in compressed form. 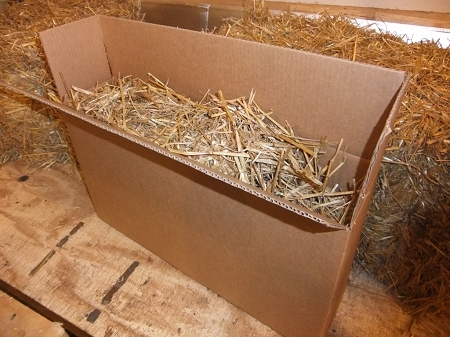 Each box contains enough straw to fill a Feralvilla shelter at least 2-3 times when the straw is "fluffed". We recommend replacing straw at least 4 times per year. Net weight of bedding in 2-pack of bedding is approx. 6.6 lbs. / 3 kg. Save even more when you buy a 3-pack of bedding!